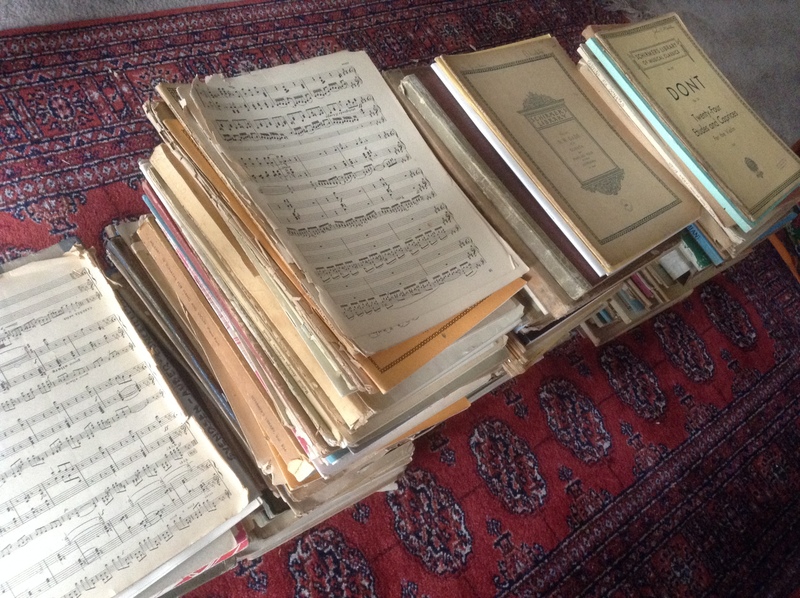 My dear violin teacher (and beloved friend) commented that this collection was somebody’s prized possession. Their Treasure. And I was lucky to have it. Treasure. She’s absolutely right. Hidden in the piles of gold are gleaming gems of music. Part of the reason I started this journal was to document our exploration of this collection. The other part was so I could start doing something productive with my time online. This was someone’s treasure that was lovingly amassed over a lifetime. I feel honored to have this collection and will make sure each piece of music is acknowledged, played and loved. I did not know Mr. Madden in life, but through music we will know his spirit. And we are starting this journey with Telemann Fantasia for solo violin No. 10. in D Major. My pleasure! Thanks for following along! I miss him dearly but knew him only later in his life and was never fortunate enough to hear him play. I am so excited to learn more about his passion by following along! Welcome Kathy! And nice to meet you.